Steel Barrel Brewery Tasting Bar Takeover for Beer Thursday! This week for our Free In-Store Beer Tasting, we will be serving up delicious brews from local brewery, Steel Barrel! 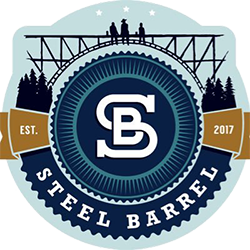 Steel Barrel Brewery, Middle Tennessee’s newest brewery, is the brainchild of Mark Jones, Derrick Morse and a team of partners and experienced beer industry veterans. 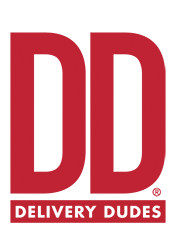 Brewing hard-working beer for the hard-working individual, the company’s first line of approachable brews was introduced in 2017 and included four mainstays: Americana, an American Pale Ale, Frost, an American-Style Kolsch, Johnny Red, an American-Style Scottish Ale, and Pioneer, an American-Style British Mild. Friday Tasting: Western Grace Brandy! We will have the folks from Western Grace in the store Friday to let you sample their delicious Brandy from Spain. Made from Xarel-lo, Macabeo, and Parellada grapes cultivated under a strict regimen, the liquid is solera-aged in American oak, then finished in sherry vats. The result is a smooth and balanced, full-flavored brandy with notes of oak, grape, vanilla, walnut, hazelnut, and cocoa—an ideal, versatile brandy for traditional neat serves and craft mixology cocktails alike. Come on in this Friday from 4-7pm and give this delicious Brandy a try! This Saturday afternoon, we will have Raymond Hermosa, Broken Shed Vodka's Nashville Market manager, in the store to let you sample their delicious Vodka! Stop in between 1 & 4 pm and give this deliciously smooth Vodka a try! 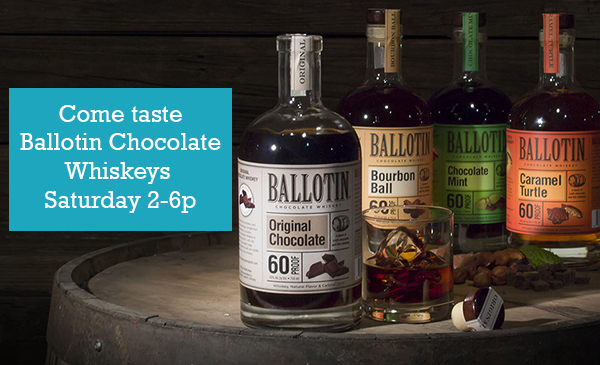 This Saturday afternoon, we will have the folks from Ballotin Chocolate Whiskey in the store to let you taste their delicious flavored whiskeys! These whiskeys are dangerously delicious and are perfect for holiday sipping or party cocktails. Come taste them all Saturday from 2-6p. Mantra Brews & Codigo Tequila Thurs+Red Eye Rye Fri+Grain & Barrel Spirits & Starr Hill Brews Sat!